and Boris Gelfand. 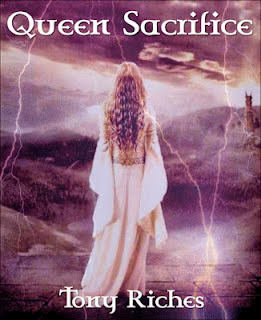 Photo: Fide. The seventh game proved to be the first decisive game of the Anand Gelfand World Chess Championship 2012 in Moscow. The challenger seemed to have come prepared for Anand's Slav Defense that had stood by the world champion in previous games with Black in the world chess championship so far. The match is not over yet. The one question everyone has is how will reigning world chess champion Vishy Anand win back tomorrow? Tomorrow, on May 21, Viswanathan Anand plays White Game 8 of the 2012 World Chess Match. Today, the 12th World Chess Champion Anatoly Karpov was the honoured guest at the match. 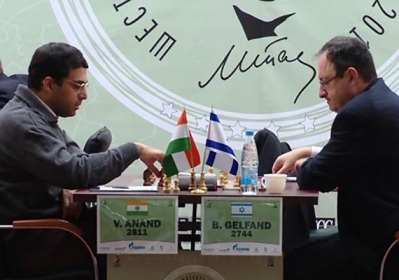 The World Chess Championship 2012 is being staged in the Tretyakov Gallery in Moscow, between the current World Champion Viswanathan Anand of India and the winner of the Candidates tournament Boris Gelfand of Israel. The match includes 12 games and lasts from May 11-30. The prize fund is US $2.55 million, the winner getting $1.53 million (60%), the loser $1,02 million (40%). 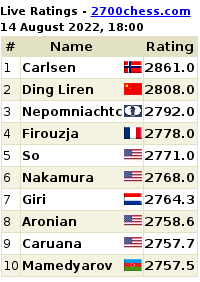 You can check the complete world chess championship schedule and format here. 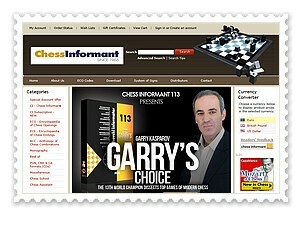 Replay Anand Gelfand 2012 World Chess Championship Game 7 Moves with in chess game applet Chess King.